This morning I had some old drama creep into my mind, and I ran the train of thought until I was in panic mode. I won’t go into details but it really put things into perspective regarding the bigger picture of life. None of us are victims – we are not powerless to circumstances – we are not dis-empowered by people ‘out there’. No road is available to us unless we put it there in the first place. 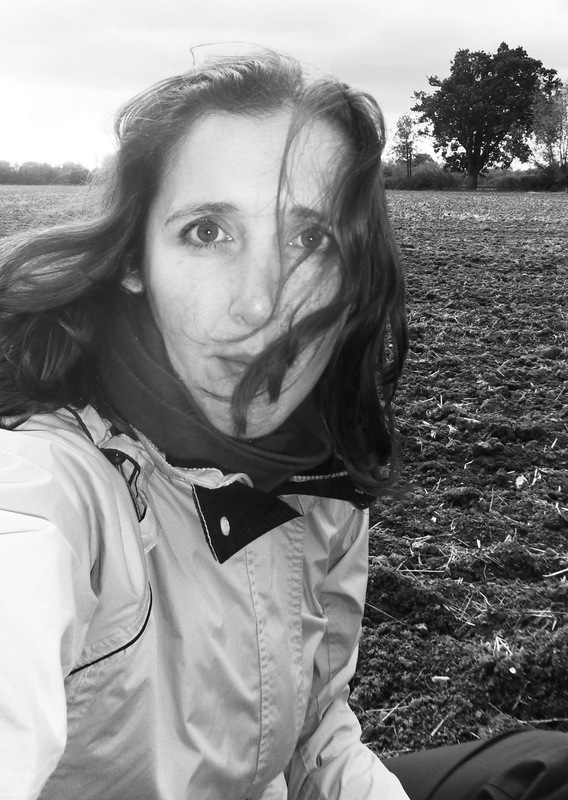 I had a long walk today (around 3 hours), through ploughed, raw, open fields. The crops were gone; the soil had been turned. It was cold, the wind was blowing and I walked myself back into my power place. Within myself. As I walked I reminded myself, what I see through these eyes is a movie of my own making. Nothing can be in my movie without my say so or without my desire or need for it to be there. This could be drama ‘issues’, joy, beauty – all of it. And so I considered this morning-drama and realised the players in the drama who ‘I’ had made out to be the bad guys were only playing the role I gave them – they have played the role to perfection. Often, dramas, struggles, suffering in our lives meet our inner need for these experiences. Mentally we may think we do not want these things in our lives yet we bring these actors to life to reinforce a game we are playing with ourselves. It may be the game of ‘Poor Me’ or the game of ‘Victim’, ‘Martyr’, ‘Yes,but…’ whatever the game may be, but it’s a game and it’s an aspect of the movie until we change the script. And when I say change the script, it’s not about affirming differently, or saying out loud, something other than what is – or even envisioning something other than what is. Instead become aware as you read this now; look at your computer. It would not be there unless you had it inside you. How magical are you? All the shapes and forms of the universe projected outward from consciousness as a TV, a person, a blade of grass. Infinite possibility is within every single one of us. I feel that the path of life is to become aware of the illusion presented through these eyes. My strong feeling is that this body is a part of the movie also. And without the body we are pure energy or light. Nothing of the ‘me I know’ has an end. No tidy box fits this personality, this light, to make me separate from another box ‘out there’. I am in your movie right now. You could not be reading these words unless a part of you (that is me) decided to show up in your field of consciousness. If your movie is not what it’s cracked up to be, or is not fulfilling, you can change the movie. If you put a movie on your ‘outer’ TV that you did not like, you would press the stop button and watch something else or nothing at all for a while. It is the same with us humans. The aspect of consciousness reflected in the role of humanity. Mother earth, water, the sun are who we are. We could not see this in our movie unless we wanted to. I wonder if earlier generations, our ancestors, understood what spiritual circles are now realising and quantum physics is now revealing to us intellectually. Earth – a body of consciousness. Water – our body of clothing has water within it and within the blood. Air – A reminder of our infinite spirit – no ending – no limits. Fire – the Sun – Shows us our true nature. I look at the Sun and I see a reminder I gave to myself when I put the veil of illusion across the eyes of my pure spirit. Take away my body and I am the pure light that I see in the sky. Looking at life this way, victim, is a word that is not possible. What is the general theme of your movie? Is it a drama? A thriller? Adventure action? Is it a comedy? Colour? Black and white? Or all of these? As the veil is lifted the movie changes. Previous Post Are You Ready To Celebrate The New Year At Halloween? This is exactly the way I think of the world. So of course, I would put these words on the pages. Thanks for reflecting me. I woke this morning with my own pouty feelings. Though, I did not feel like a victim. I was wondering how to change the experience. I enjoyed this so much! Very freeing. You are a very good writer, and your content is excellent. I loved the picture of the tree and your picture at the end. The field behind you could have been a field from my childhood in Arkansas! Myra Lynn Caruthers Ross from FB. A thought provoking post beautifully written kelly. You write things down that I feel but find difficult to express. I am glad that you decided to show up in my field of conciousness! Thanks so much for Simone, really appreciate your feedback. And for appearing in my own movie. Your welcome Andy, like you, I have spent 2-3 years walking in the unknown. It does get better, it does get easier, it's awareness that is very important. Being in the void, is not easy, but its okay, its allowing the space to be, without filling it quickly before the divine within you has time to satisfy you with even better opportunities.